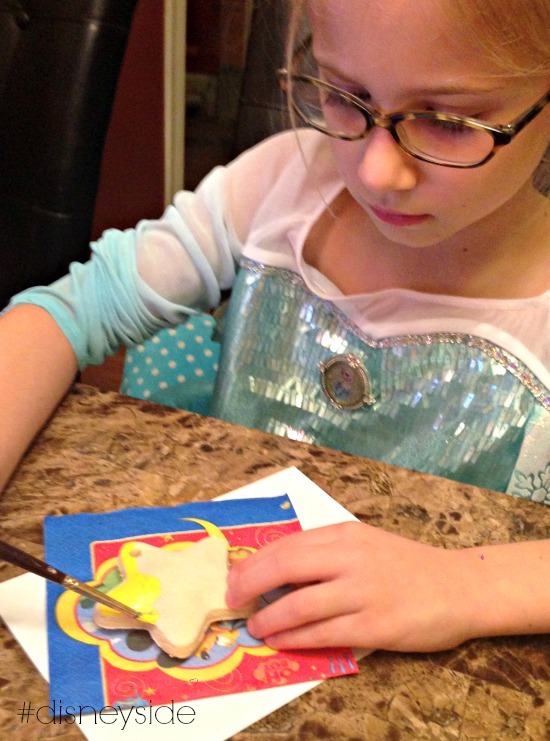 Earlier in the week I shared a recipe from our Disney Side @Home Celebration, today I’m sharing with you one of the craft projects we did during our party. 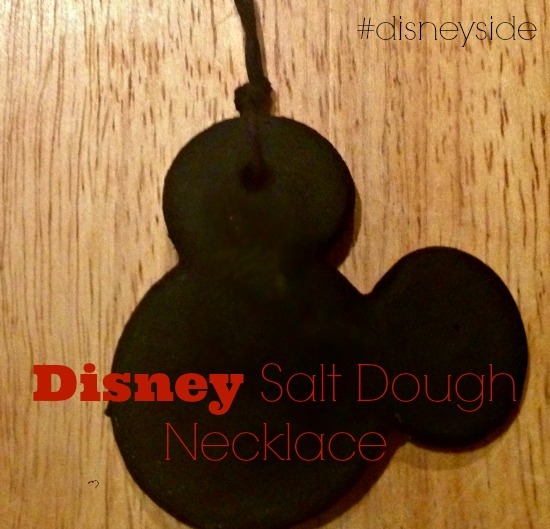 Before the party I made up a batch of salt dough necklaces for the guests to paint. I used the Disney cookie cutters we received in our party package from Disney Parks and MomSelect for the project. You could do the entire project during the party but the dough needs to back for 2 hours, which is why I prepped them ahead of time. 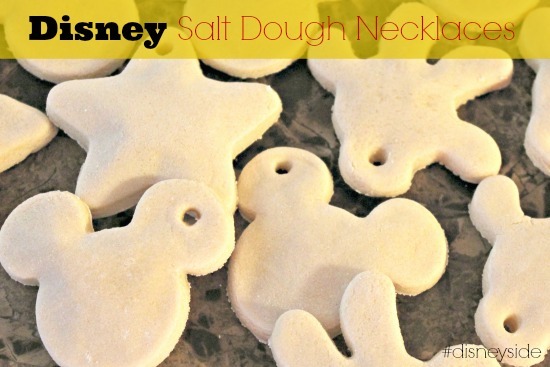 To make salt dough all you need is 1 cup of flour, 1/2 cup of salt and about 1/4-1/2 cup of water. Sift the salt and flour together in a small bowl and slowly add water to it until you get the consistency of dough, but not sticky. Once you have your dough the right consistency you can flour your surface and roll the dough to about 1/8-1/4″ thick. 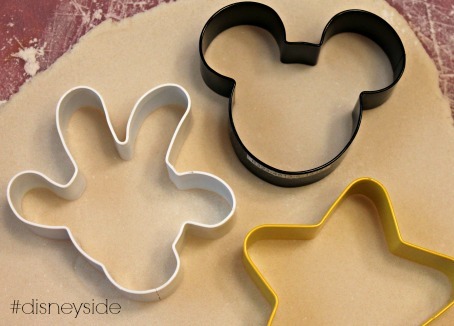 Then use your cookie cutters to cut the desired shapes. If you are going to be using these like necklaces (or ornaments or key chains) be sure to poke a hole in the dough before you bake them to string your thread. Preheat the oven to 250F. Place your cut out pieces on a baking sheet and place in your preheated oven for 2 hours or until they are hard. Remove from baking sheet to cool on a drying rack. Once they are cooled you can paint them with acrylic (water based) paints. Allow to air dry and coat them with a shiny gloss if desired. Tie your thread to the necklace and you are ready to go. You can see more pictures from our Disney Side @Home Celebration on Instagram @TheEcoChic and be sure to check out my Snow White Sour Apple GoGo-Rita Cocktail recipe. Disclosure: I received free products in order to host the Disney Side @Home Celebration. The opinions expressed here are my own. 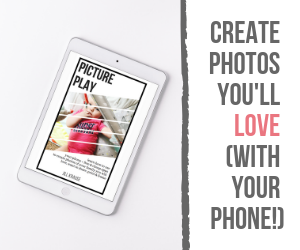 This looks like such a fun activity!